The beautiful Zion Lodge lies in the middle of a hiker’s paradise. With the lodge open year-round and offering special winter rates and packages, our guests can easily experience Zion National Park. 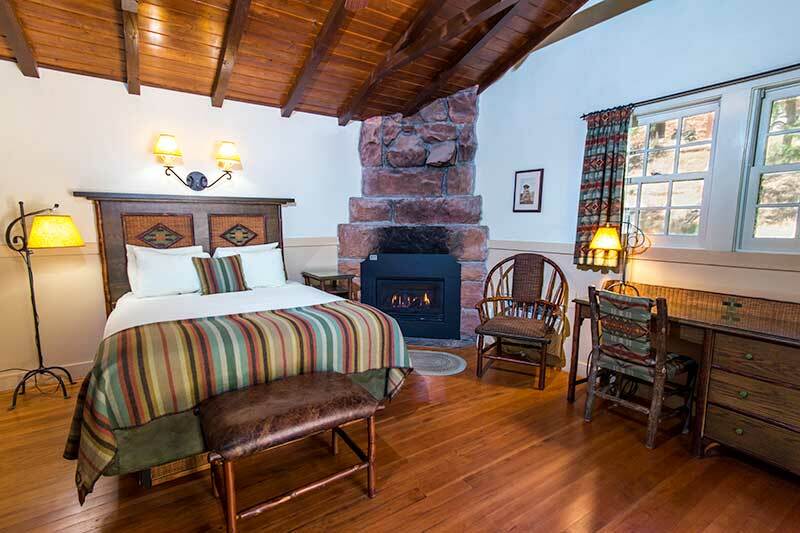 Accommodations include historic cabins with two double beds, full bath, gas log fireplace and private porch and hotel rooms with a private porch or balcony. All rooms feature air conditioning, phones, radio alarm clocks and hairdryers. Twenty-eight cabins have two double beds, while the remaining twelve have one queen bed. All cabins have a gas log fireplace, private porch, full bath, microwaves and mini refrigerators. These cabins are within walking distance of the lodge. Most rooms have two queen-size beds, full bath and private porch or balcony. Some rooms do have a king-size bed. The hotel rooms are equipped with a 37-inch flat-screen television with satellite reception. 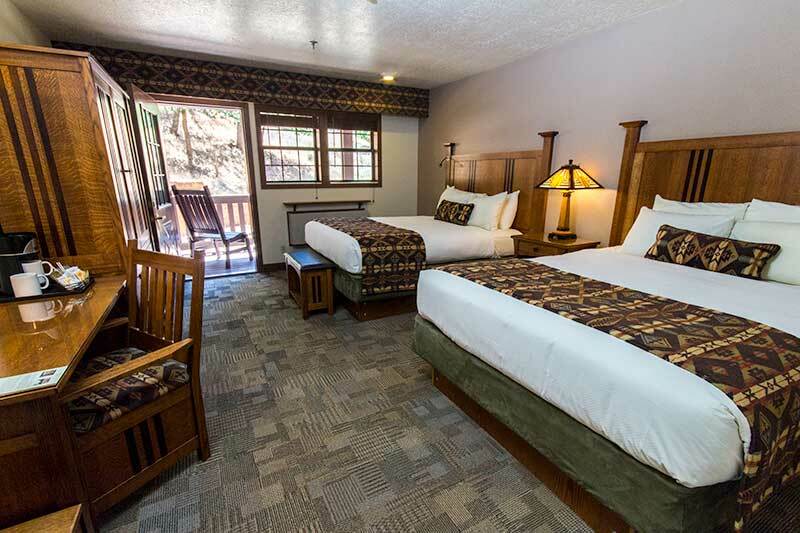 They are clean, comfortable and within walking distance to trails and main lodge. Each features a sitting room, wet bar and separate sleeping room with king-size bed. The suites are equipped with a 37 inch flat-screen television with satellite reception. Wet bar includes a small refrigerator and sink and faucet, as well as a microwave. All suites are located on the second floor. 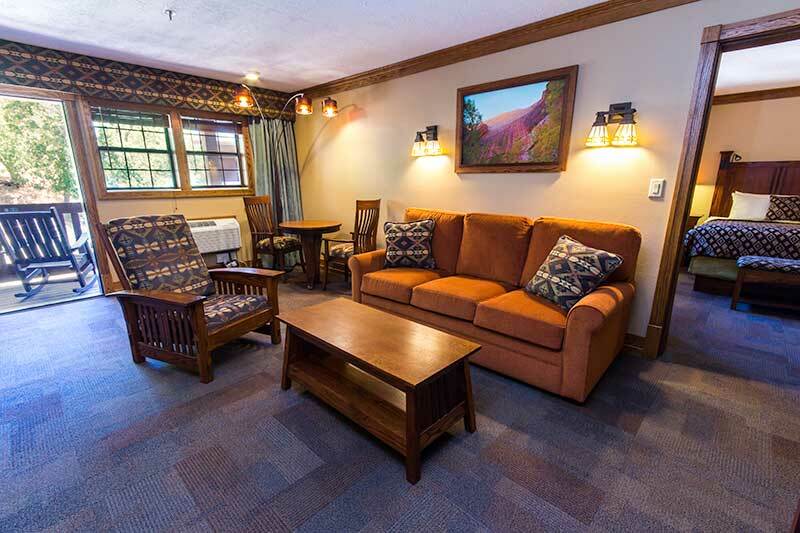 They are clean, comfortable and within walking distance to trails and main lodge. Accessible rooms are available, including some with roll-in showers. To see available ADA-compliant rooms, please check the “ADA/Accessible Rooms” checkbox in the online reservations application or call Central Reservations at (888) 297-2757. * All rooms are non-smoking. If you smoke in the guest room, a charge of $100 will be added. Rates are quoted on a per night basis, and based on double occupancy. Rates do not include current tax, but do include the NPS utility surcharge. Rates, taxes, and surcharges are subject to change. Rates shown are the current maximum set rate approved by the National Park Service.